Both entrepreneurs and homeowners in Pasadena depend on the security systems experts at D&S Security to keep their businesses and homes safe. It doesn’t matter if you own an auto parts depot or a liquor store on historic Route 66, or a home goods store at The Commons or Burlington Arcade. All store owners know that inventory shrinkage is a huge problem, eating into your hard-earned profits. Video surveillance and CCTV systems from D&S Security use top-of-the-line security camera models with the latest technology to monitor your retail space and storerooms, safeguarding your inventory against shoplifters or employee theft. To protect sensitive areas in your stores or office spaces, D&S Security can provide fully customizable access control. Why give the manager on each shift an entry key that can be copied? 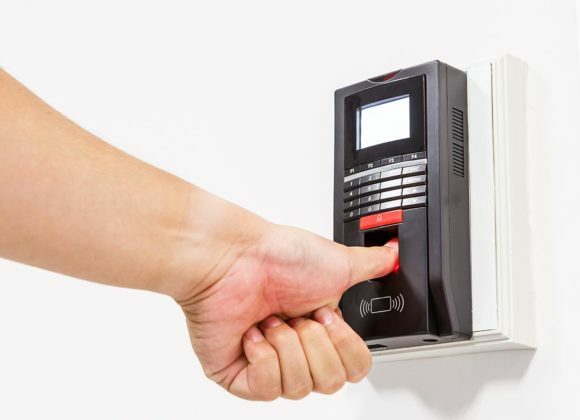 With an access control system configured by D&S Security, you can issue a unique credential to each employee—authorizing or revoking access on an individual basis, as needed. Whether you own a modest Craftsman house in Pasadena’s Bungalow Heaven, a storybook cottage in Washington Square, or a sumptuous estate with a topiary garden in South Arroyo, you’ll want to keep your home safe from damage or intruders. D&S Security installs the latest in burglar alarm and fire alarm systems, bundles them with video surveillance and CCTV systems, and presents them to you with remote-control capabilities that you can securely access using your phone. Remotely control household lighting and temperature instantly through the app, and receive alerts about carbon monoxide, water leaks, or other imminent dangers. D&S Security’s home security systems are connected to a professionally staffed command center, where your home’s status is repeatedly checked, and any anomalies or warning signs are analyzed and addressed promptly. If you ever need emergency services, such as police, ambulance, or a fire truck, D&S Security’s well-trained team will ensure that they are quickly dispatched to your home. Famous for its annual Rose Parade, Pasadena boasts stunning examples of Art Deco, American Craftsman, and Victorian architecture. Its city hall is an impressive monument to the California Mediterranean style. The Gamble House, built in the Craftsman style pioneered in Pasadena by Greene and Greene, served as the exterior of Dr. Emmett Brown’s family home in the Back to the Future film series. Fans of the time-travel franchise can also make a pilgrimage to the tree that ousted “bird-watching” George McFly and dropped him to the street below. Theater devotees can experience live drama at its best at the famed Pasadena Playhouse, which reopened in 1986 after a nineteen-year hiatus. To keep the drama on the stage and screen where it belongs, and minimize it in your daily life, count on D&S Security to watch over your home and business. Call us today at 800-521-1958 for the most reliable security systems in Pasadena.